"God will be your guide in all things if you keep yourself humble and lowly in His presence, supporting your neighbor with the utmost gentleness." Join us for Salesian Community Mass on January 20 at 10 a.m. in the Chapel of the Sacred Heart. Read a recent Loving Life, Living Jesus reflections by Brittany Yevoli '17. Want to contribute a reflection? Reach out. Take a moment of quiet reflection and sign up for Adoration before the Blessed Sacrament on First Fridays in Visitation's Chapel. Bring your family and friends to our alumnae service project on Martin Luther King, Jr. Day from 10:30-12:30 p.m. in the Fisher Center. Together, we'll put together bags of healthy food items for residents of a homeless shelter. RSVP via your Paperless Post. You can RSVP here. If we have your address in Florida, formal invitations will be coming your way. If you've recently moved or are traveling to Florida, please reach out to Suzie Egan for details and questions. Join us at the Green Gate Gala to help ensure that the dream of a Visitation education becomes a reality for remarkable, deserving students. This Visitation community event celebrates and supports our scholarship fund. This year's theme is Illuminating 35th Street. Proceeds from the Gala go directly into Visitation's financial aid budget. This academic year, 33% of Visitation's students received over $2.2 million in financial aid assistance. Look for opportunities to contribute auction items soon! For more information about alumnae events or happenings, email Alumnae Relations Director Suzie Koones Egan '79. Can't attend our upcoming events? Download Evertrue to connect with alumnae near you, or join the Visi Alums Helping Alums group on Facebook and network online! With two Masters degrees under her belt and a doctorate in the works, Colette Young '07 is a lifelong learner - a skill she imparts daily to her students as a teacher and coach at both Columbia Secondary School and Columbia University. 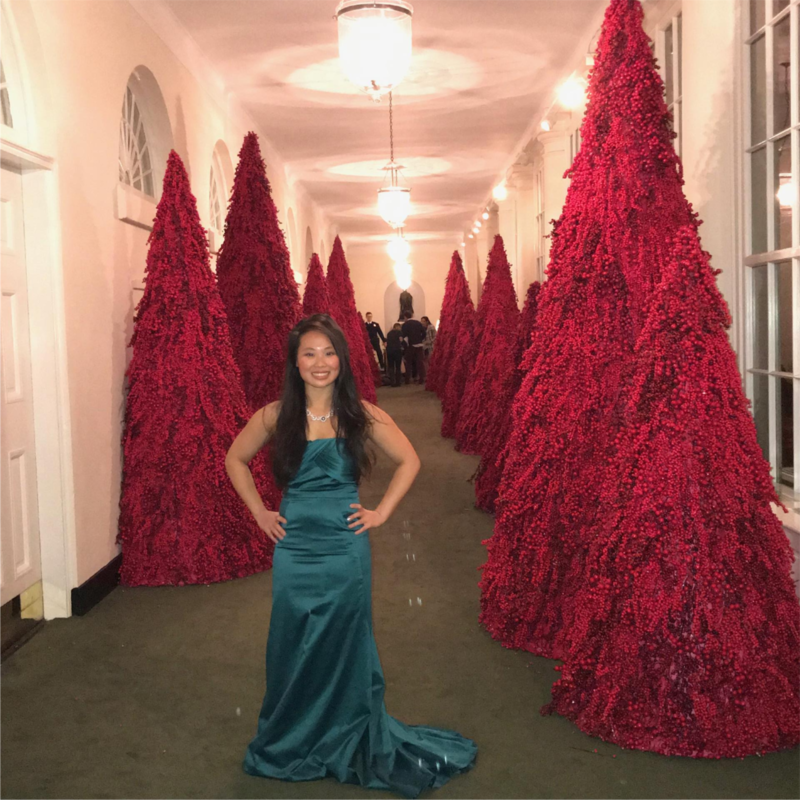 Beyond the classroom, Colette is an accomplished musician and vocalist, which recently brought her back to DC for a performance at the White House. She also performed on Christmas Day at Visitation, an annual tradition for her family. The Sisters hold a special place in her heart; her family started the tradition of caroling with the Sisters, and she was instrumental in developing the Giving Tree program for the Sisters each year. Read more about Colette here. You should have received our most recent edition of the Visitation Alumnae Magazine in your mailbox over the Christmas break! We're also excited to share that the magazine is now also available online. Catch up with your classmates' updates, read the latest news, and learn about what's happening on campus. Got an article idea? Reach out to the editor. Maggie Rose '06 reserved space for Visitation students and their families at her Dec. 22nd concert at the Bethesda Blues & Jazz Supper Club, holding a Q&A in advance of her concert. 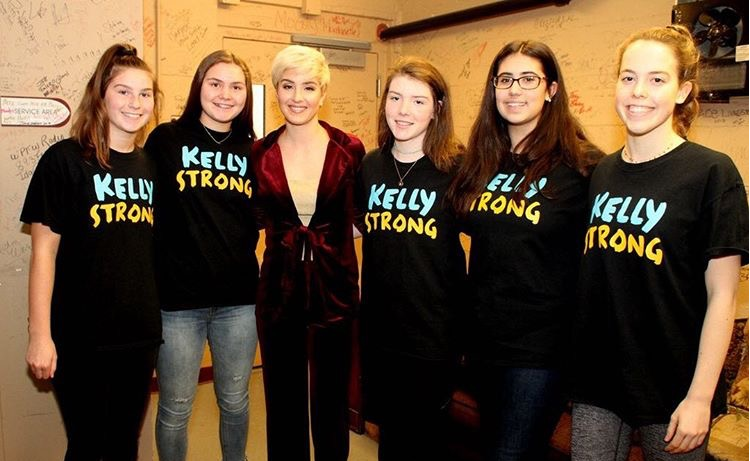 She invited students, alongside the Brodnik family, to celebrate the life of Kelly '21, who passed away this fall after a battle with pediatric osteosarcoma. Maggie was highlighted in the Washington Post in advance of the concert and will be in town again in March. If you have recently been featured in the news, share your link with us, and we may feature you in the next issue of Visi Views! While boarding a Southwest flight to DCA from FLL, my boyfriend (editor's note: now her husband - wedding photo in Fall 2018 Magazine) and I searched for seats next to each other. Unfortunately, we weren't able to locate any. He sat next to a father and son while I sat between a sleepy gentleman and lovely lady. This lady and I chatted for the entire two and a half-hour flight. Midway through our conversation, we found similarities. Not only did we grow up in the same city, we also both graduated from Visitation! (What are the odds!?) It was a pleasure speaking with Ms. Nancy M. Nicklas '65. Did you recently get together with Visi classmates or run into a fellow Visi grad? Share your photo with us! Georgetown Visitation has received notification of the following deaths in our community. We pray for them, their families, and loved ones. Anne-Marie Cullinane Aiello '90 on the death of her father, John J. Cullinane Jr.
We'd love to hear from you! Please send us your news and updates, photos, and new contact info via our web form. The Alumnae Office is happy to help! For any info on our programs, events or alumnae chapters, email Alumnae Relations Director Suzie Koones Egan '79 or call 202-787-5679.